Like it or not, it's really the rainy season when it rains almost on cue during the mid- to late afternoon hours. Hardly a good time to go to La Union if you're not into surfing. But the invite to revisit Thunderbird Resort was too good to pass up, a nice time for an out-of-town break from a stressful project. Revisiting the city of seven hills. 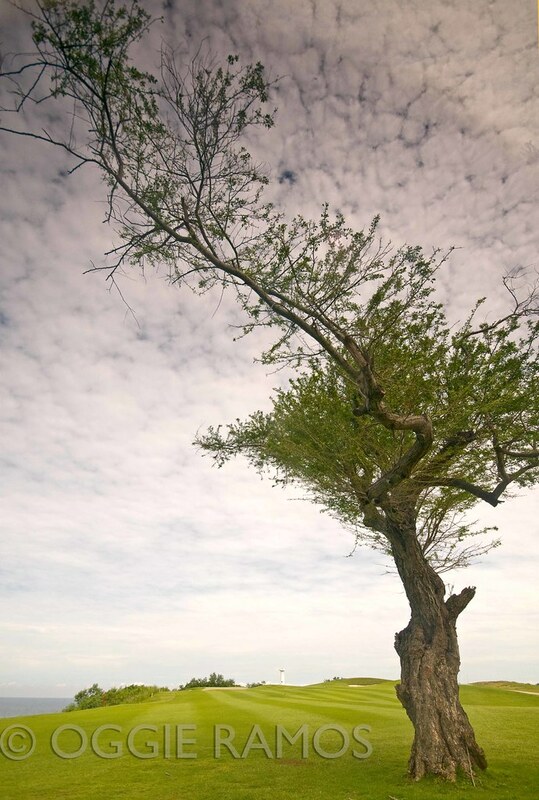 San Fernando is also known as the city of seven hills as well as the capital of La Union. It's my second trip to La Union but truth be said, I've always relegated this province to a passage way to Baguio and Ilocos. But this recent trip made me think otherwise. Poro Point lies on the peninsula jutting out of San Fernando with a view of the bustling port on San Fernando Bay to the north and the South China Sea to the southwest. Thunderbird Resort sits on a sprawling portion of this peninsula, a white spread of low rise structures topped with an iconic blue dome. In the glare of a sunny morning, it seems like a snapshot from a Greek seaside town. 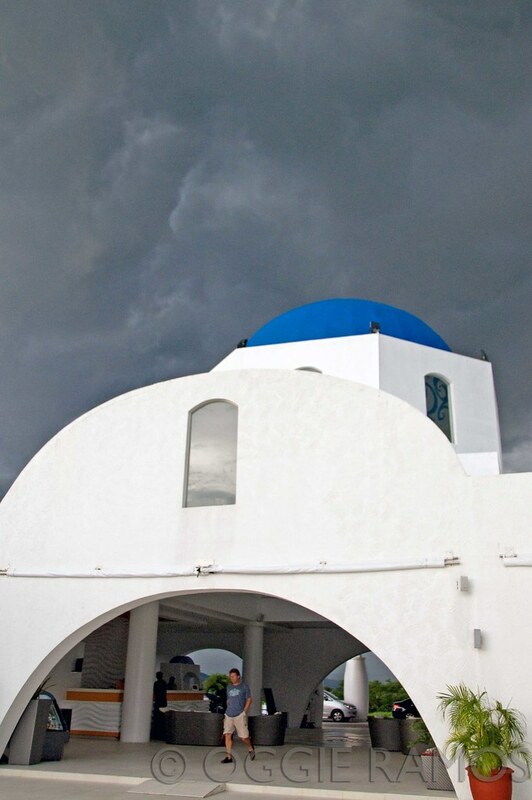 Against the grey of the gathering storm clouds, the white walls gleam like a splash of white paint in the growing darkness. It was good that we had an extra day to spare for the habagat season almost always means sunny mornings and rainy afternoons and evenings. I don't play golf but the well-kept, manicured green expanse of the nine-hole course draping the cliff edges wasn't lost on me. On warmer days, it must be great to birdwatch under the canopies of the old trees. But with the fickle weather, that would have to wait. Not being the type to try my luck in the Fiesta casino about a 5-8 minute walk from the hotel, I would've taken a dip in the pool if it weren't for the prolonged squalls. With no sunsets to shoot, it's tempting to just enjoy the chilly room and hide underneath the fresh sheets, listening to the hypnotic pitter-patter of the rain on the roof. 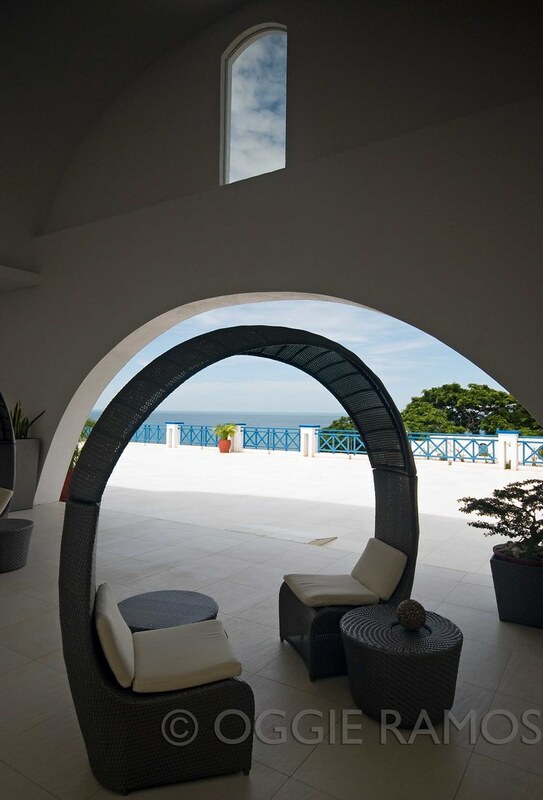 For more details on Thunderbird Resorts Poro Point, visit www.thunderbird-asia.com. Thanks to Nica of Thunderbird Resorts for the invite and for making the trip a very relaxing and pleasurable one. 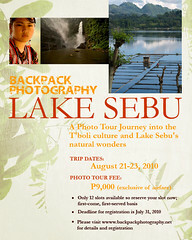 Join us as Backpack Photography explores beautiful Lake Sebu. Date: August 21-23. To register, email backpackphoto@gmail.com. For more details, check out www.backpackphotography.net. what a posh accommodation. definitely out of my price range. si ferdz ba yun? bai im in awe of these shots. hmmm... more practice for me.